Charnos Rosalind White Bodyshaper is rated 3.0 out of 5 by 2. Feminine and elegant, the best-selling Charnos Rosalind is now available in a bodyshaper, a beautiful addition to your lingerie collection. 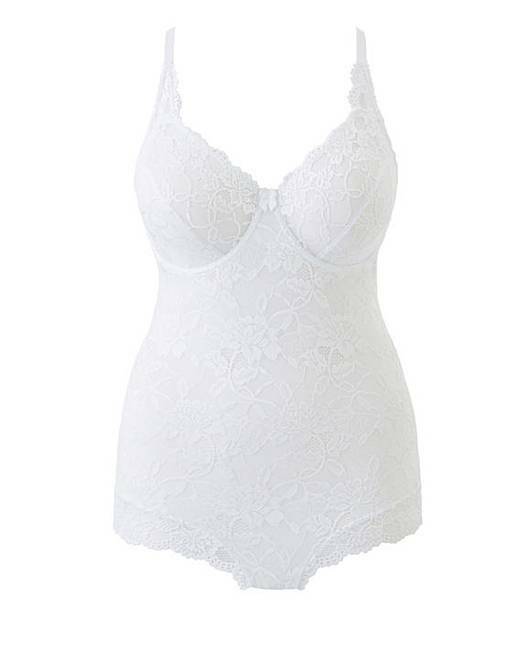 Crafted from pretty matt and shine stretch textronic lace, which is lined down the centre front panel and bottom cup. This body boasts full cup styling, underwired, with a cotton inner sling. 74% Polyamide, 15% Elastane, 11% Cotton.